Zoho Projects can be your company's intranet with a comprehensive set of features that allows your business to grow by enhancing information flow within the organization. It provides project teams and businesses the flexibility to access collaborative tools with just an internet connection and a simple web browser. Content management through simple editing access that encourages participation by many users. Facilitating communication between people and enhancing knowledge sharing among groups. Gather knowledge from various sources through documents, content feeds from other websites. Easy to manage version control with fine grained access privileges. Build a powerful source of information with pages which you can organize and manage it effectively in one place. You can link, re-order and tag pages which help in fast and easy navigation. Now start creating pages in Zoho Projects to collaborate within your team. Select the required project in Projects and then click Pages in the left panel. Click the Create new page in the upper-right corner and create contents in a matter of minutes using the WYSIWYG visual editor. 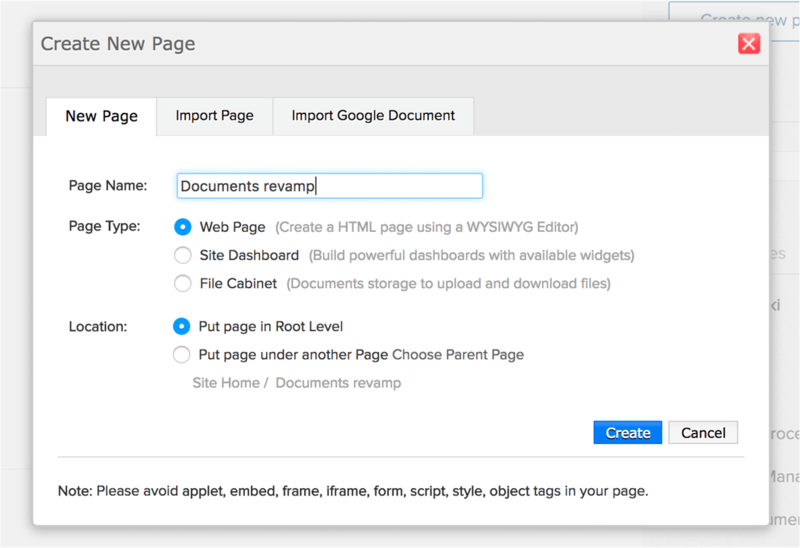 You can either create a new web page or import a page from your desktop or import a Google document. Of course, no page is complete without posting a comment as it involves real-time collaboration among the group. Click open the required web page and type your comments and click Post a comment. Also, for your web pages, you'll have to add various kinds of images, screen captures, video clips, etc. All you need to do is just click Attachments or click Attach New File, to attach files. You can also attach files from Google Docs. 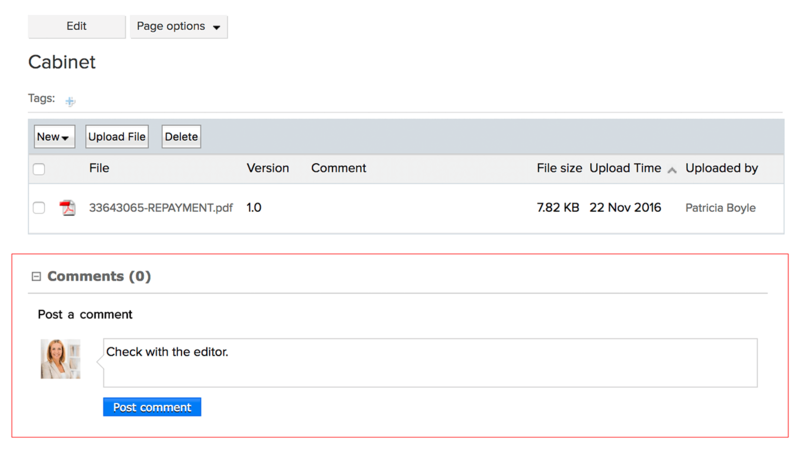 In Pages, you can also view your most recently added and modified pages, files, and comments. Navigation Panel lists the wiki pages in a hierarchical folder. Our SiteMap helps to build hierarchies of pages in a folder. Only Administrators can reorder pages in the sitemap.